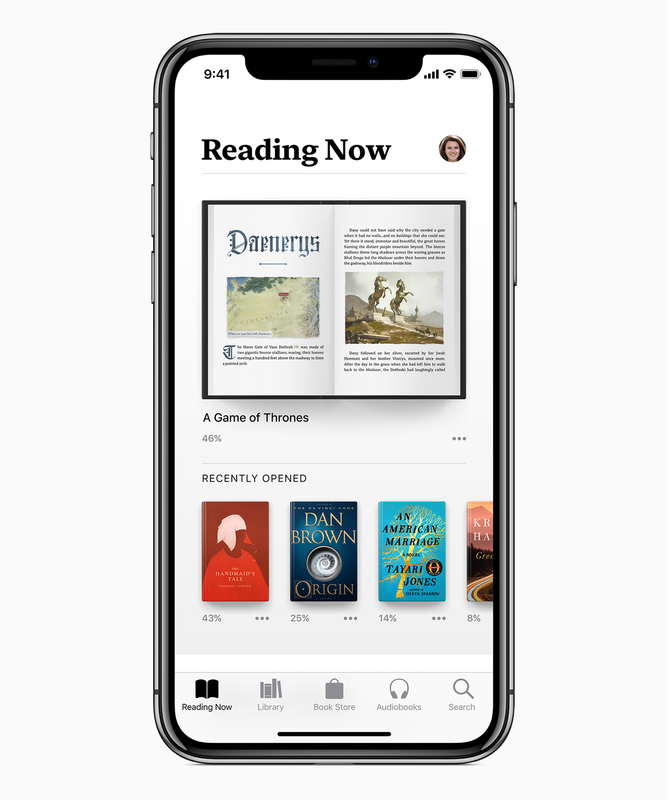 First previewed during WWDC, Apple has just given us another peek at the iBooks revamp (a version of which has been floating around for some time now). Apple Books is launching on iOS during the fall. The “biggest books redesign ever” features a newer, cleaner UI, with a larger focus on cover art than its predecessor. Like iBooks, the new app includes an editorial section. That’s similar to what the company’s been doing with services like Apple News and the App Store, bringing human writers in to editorially curate book picks. Audiobooks are being served up more prominently here, as well, with the addition of a devoted tab. The new Reading Now tab, meanwhile, is pretty much what it sounds like, offering up a place to jump back into titles users are currently reading/listening to. It also houses a Want to Read wishlist and curated recommendations, based on your reading habits. The bottom is rounded out with Book Store and Library tags. The new version presents a conscious uncoupling from iTunes, from which various multimedia offerings have been spun off over the past several years as standalones. It also represents a clear stab the Kindle. Amazon’s offering has long been the leader in digital books, and its 2008 Audible acquisition has helped make audiobooks a much more prominent part of the equation. The new version of the app is arriving in the fall, with Book Store content available in 51 countries. The macOS version of the app is also being renamed Apple Books, for the sake of consistency.